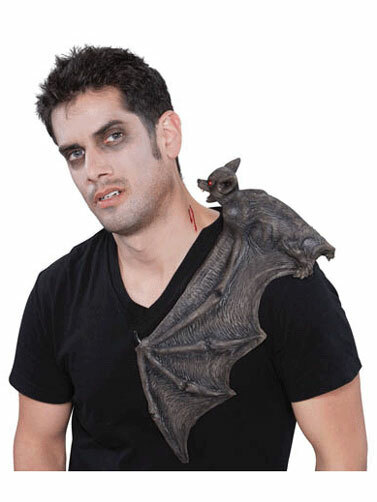 This bat shoulder buddy will give you the look of a bat resting on your shoulder. 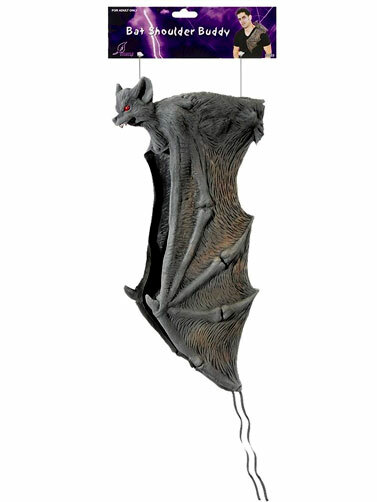 The bat body lays on your shoulder and is held on with straps that tie under your arm. Lightweight latex is comfortable to wear. Bat Shoulder Buddy measures 16."